Sorry - this tour is no longer available. 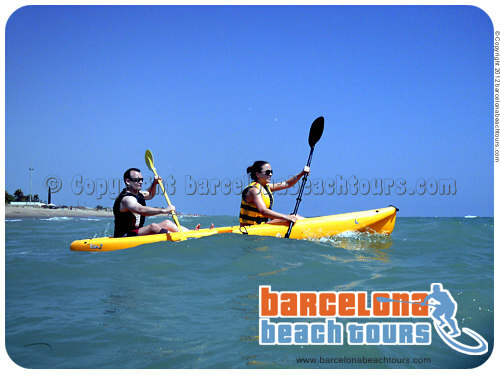 #A2 Day Tour Three watersports in 1 day. Summer tour only. Available from June to October. 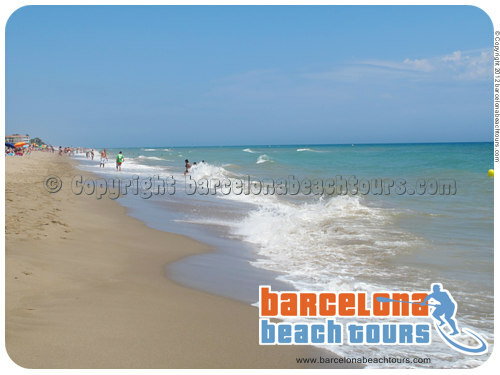 Day trip from Barcelona to Gavamar beach. This tour includes 1 hour SUP paddle board with instructor, 1 hour cable wakeboarding with instructions and 1 hour of kayaking with instructions, personal hotel pick-up and drop-off, transport, guide and 2 bottles water per person. 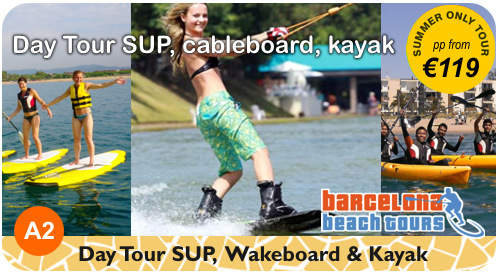 Day Beach Tour with three watersports included - SUP paddle board, kayak and cable wakeboarding and instruction. 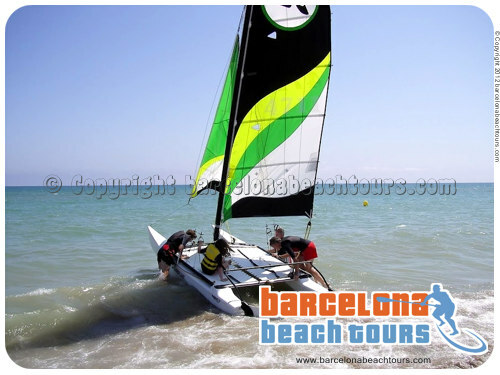 This is a fun beach day tour to lovely Gava Mar beach near Barcelona, where you will enjoy 3 different water sports and also have time to relax and sunbathe and swim. 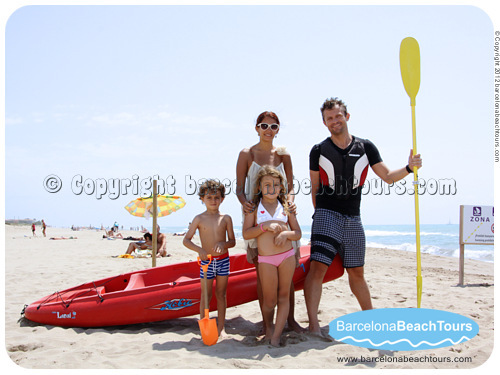 Our beach guide will pick you up in Barcelona at your hotel or apartment and drive you to Gava Mar beach just south of Barcelona, where you will spend 7 fun hours on the water and on the beach. You will learn SUP paddle surfing, cable wakeboarding and kayaking. (Windsurfing rentals on the beach also possible, but not included.) The wakeboard cable park also has kneeboards for beginners and water skiis. 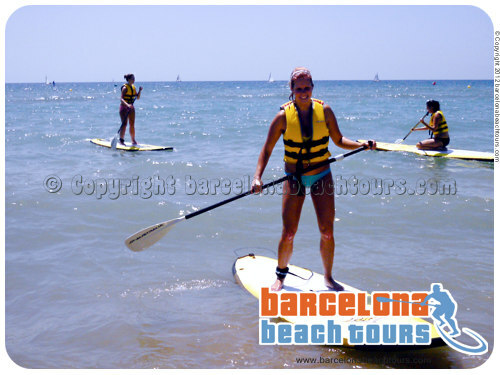 The tour includes hotel/apartment pick-up and drop-off in Barcelona, transport in minivan, local guide who is with you all day, SUP paddle board rentals and classes, kayak rentals and classes and one hour at the cable ski wakeboarding park with instruction. Also includes loan of beach parasols, beach blanket and 2 bottles water per person.